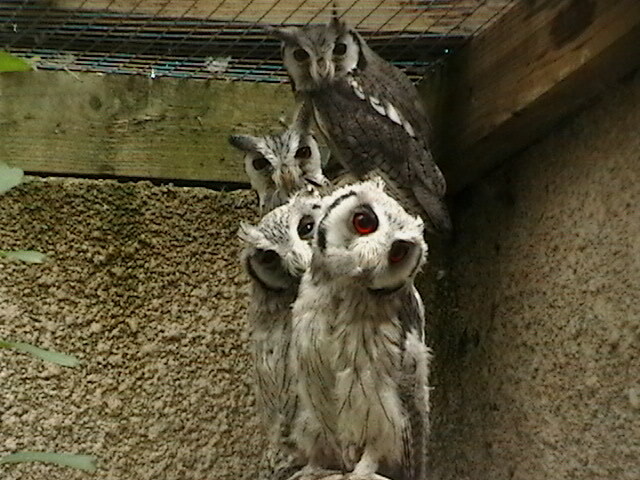 Today we have moved all the birds back to the Desert House after last weeks Tree Surgery. Along with Bee-Eaters, Plovers, Doves, Lovebirds & Quail we had 14 Desert Finch to move back. The Finches have long been in the Desert House and have been a self sustaining population. It’s very rare that we have the opportunity to do anything to the whole flock so whilst we had them in hand they have been sexed, wormed, health checked and rung. Ringing is a very important part of working with birds. The obvious reason as to why we do this is to help us to identify individual birds which is essential for keeping records on the animals. If one bird in a flock of 20 is ill we need to ensure we are catching and treating the right one and similarly when it comes to breeding we have to make sure related birds aren’t pairing up. 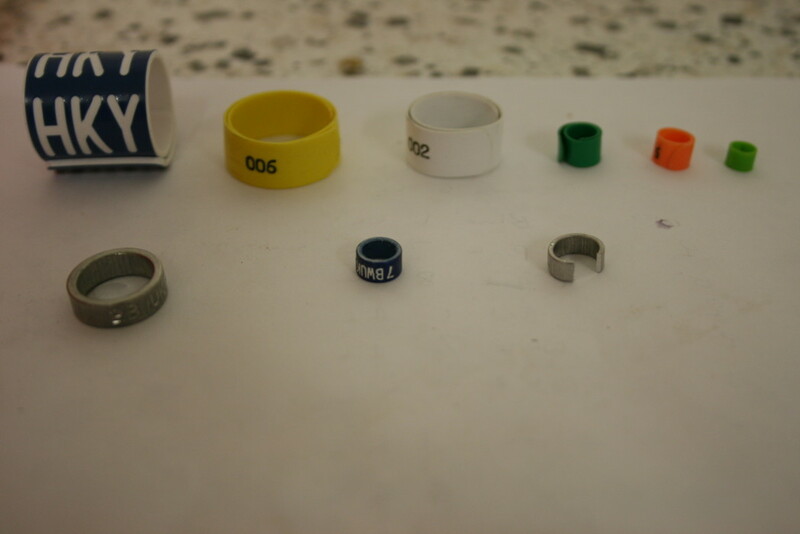 We use a variety of rings or tags to help identify the birds. Some, as with the penguins, are simple cable ties that are glued to ensure that they do not get too tight. 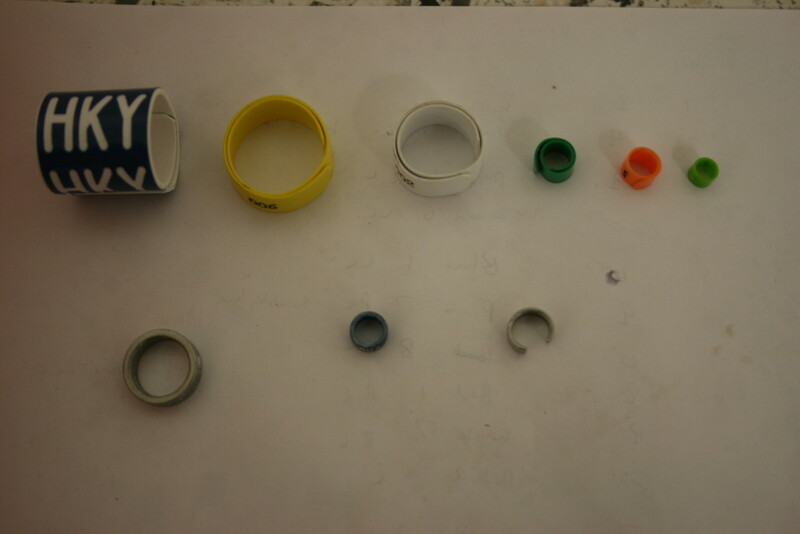 For Flamingos a simple plastic split ring with 3 letter code is sufficient whereas for some endangered animals we have to used closed aluminium rings that are put on the bird at a young age. These will carry a code which tell you the year of hatch and place of birth. For example, the 3rd Turtle Dove chick of last year was rung 3 BWUK 12 indicating that it was the 3rd chick, born in Bourton on the Water (BW) and it was born in 2012. As you can see in the pictures above rings are either Aluminium or plastic. They come either split (can be put on at any time) or closed (have to be put on when the bird is young). They can be numbered or plain and can come in a variety of colours (vital when trying to spot a particular individual). With some closed aluminium ring the colour is predetermined to that year. You also have to consider the health of both the bird and yourself when ringing. A Zebra Finch has a very small thin leg so you must be very delicate. To apply a ring for these we have a device with you can place the ring on, splitting it as you move it up. You then line this up with the birds leg and move the ring back down and hey presto – 1 rung bird. For a penguin you have to consider that A) they peck and B) they slap so personal protective equipment is vital. You also want to handle the birds for the least amount of time possible. The Green Imperial Pigeons have laid an egg. This has been removed for incubation as all eggs last year were infertile and we are interested to see if the birds were incubating properly. King Penguin Maclean has finished his moult whilst Ollie, Oscar & Lily are all fattening up ready to shed their old feather for this years coat. Tree surgery has now finished and the snow has gone so we are now busy tidying up.